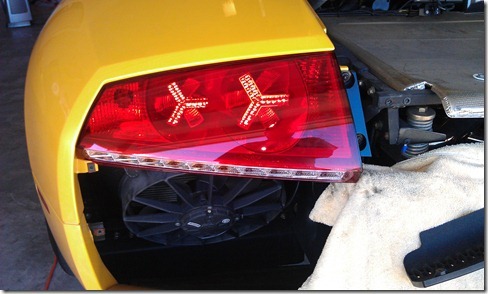 Unfortunately, the new taillights are not simply plug-and-play when replacing them. Some modifications are necessary to the rear body of the car in order for the new lights to fit and some rewiring is also required. It sounds daunting, but I embarked on doing this conversion on my own with help from a very handy friend. For those who are somewhat handy, I thought I would provide some detailed instructions along with pictures of my experience while doing this project. The end result is well-worth the effort, this I assure you. For those that are curious, before and after photos are at the bottom of this page so you can see what a huge difference these new lights make. · Read through this entire post first, and then start one step at a time. · Keep screws, bolts and pieces in some kind of order on the floor because when you need to put everything back, you will need to follow the instructions in reverse exactly how you took it apart. · Be careful of the body of the car. The car is very delicate and dents and scratches easily so the last thing you want cause damage while doing this. Keep some towels or blankets handy. · I would budget around 4 hours to do this and do it right. Some of the steps we took may be overkill for others, but we were patient and wanted to do everything perfectly. You are working on one of the finer automobiles on the road today so its better you keep this in mind. 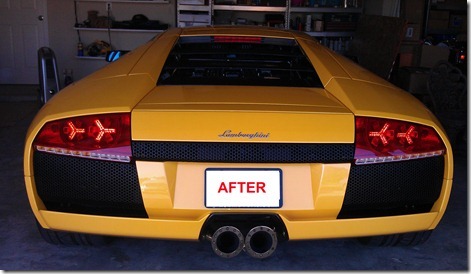 The first order of business is to purchase the new taillights. 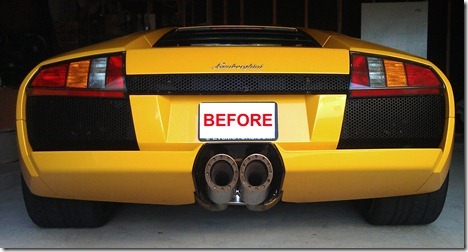 You can look online for a set, get them from a Lamborghini parts retailer or simply buy them through a dealership. I’m not going to get into the cost, but they aren’t cheap. However, I purchased mine through Glen at AMH Exotic Parts because their pricing was great and their service is always top notch. The order arrived in 2 individual boxes in just 3 days. A. 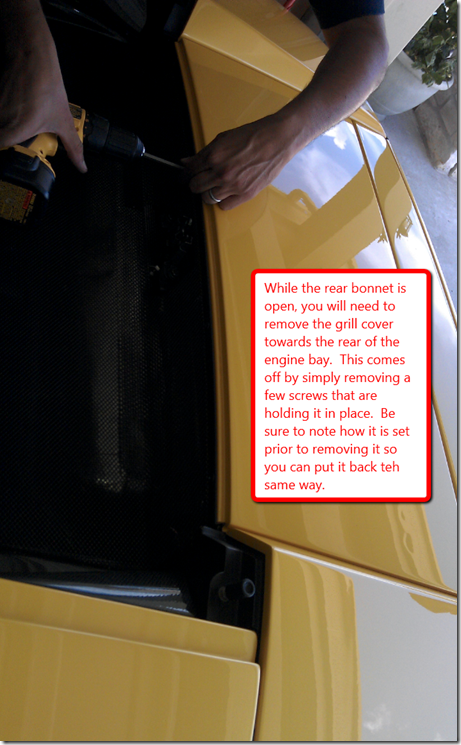 Remove the 2 plastic honeycomb grills on the rear of the car. 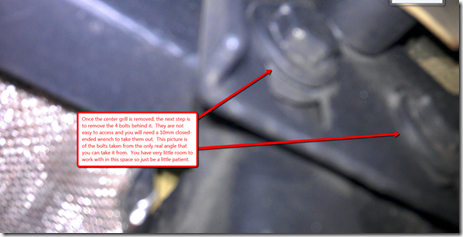 Both are located under each taillight and have 4 screws, one on each corner, placed deep inside them. Find them and unscrew them and the grills come right off. B. 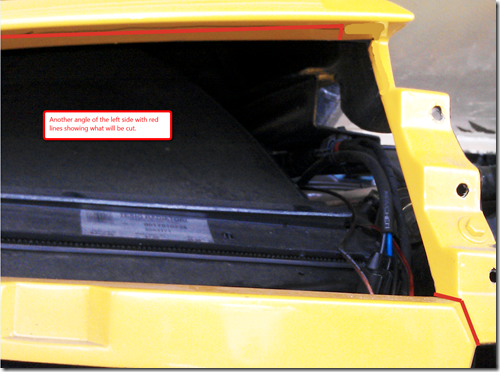 Remove the single plastic honeycomb grill strip which is above the license plate area. This has 6 screws along the top. 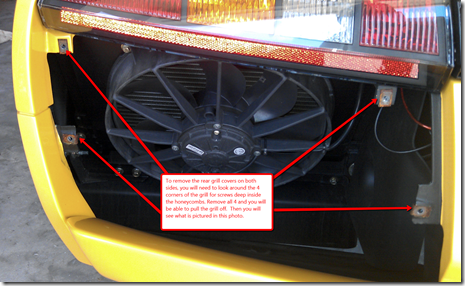 Unscrew them and the grill will come out and hang by wires which power the light bulbs above the license plate. This does not need to be removed completely but be sure to put some kind of towel between this hanging piece and the body of the car so you don’t scratch anything by accident. 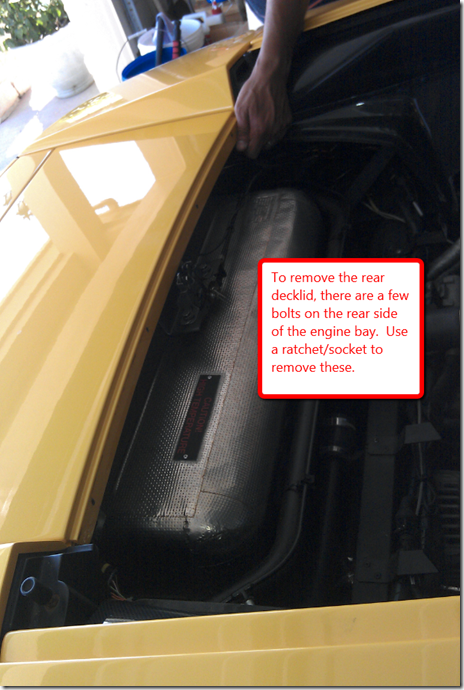 D. Next, with the rear bonnet open, you will see a black mesh metal grill covering the top of the rear side engine bay. This needs to come off. There are several screws holding it in place. Simply unscrew those, remove the grill and set aside. E. Below where this metal grill used to be, you will see a few bolts which hold the front side of the rear deck lid down. 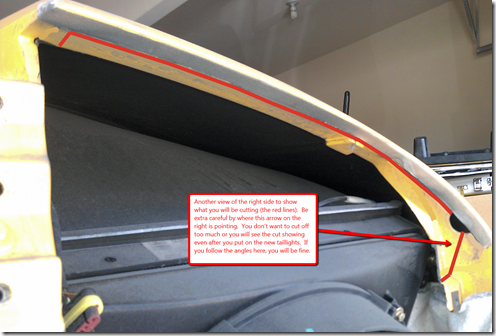 Remove those and the deck lid should now loose. It does not come off all the way nor do you need it to. F. To keep it propped up towards the rear while you work, just use any bottle or spray can with a towel on top of it to let it rest on. See picture below. 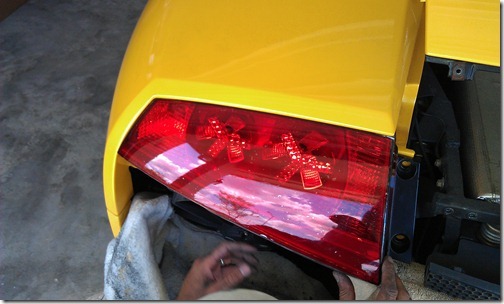 G. Finally, after all this work, you can now access the screws which hold the taillights in place. 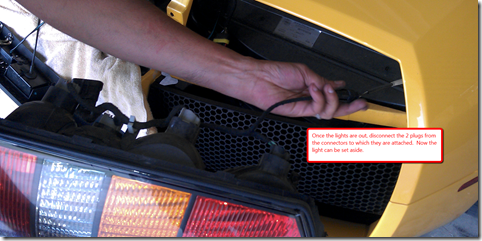 H. When you take each light out, disconnect the 2 wire harnesses from their connectors and the lights will then be off of the car completely. Set aside the lights. 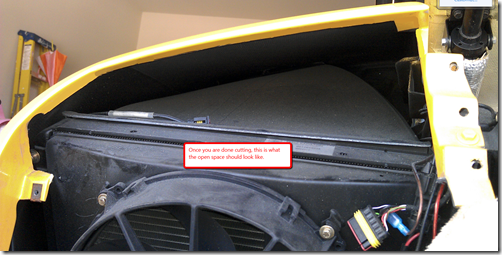 You will need to cut up the car on the backend. This is the scary part of the job but I’ve tried to provide as many pictures I can along with notes to help make this a breeze for you. In the various pictures below, you will see red lines. 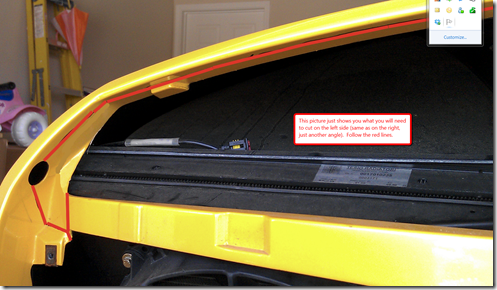 I suggest taking a sharpie/marker and drawing these lines on to your car and then using the lines as a guide when you are cutting. Others have provided DIY info to do this, but this is really where they lacked the details needed to really figure it out. I’m trying to help with that by providing pictures and details from various angles. The good news is that if you cut the way I did, you will not need to make, use or install any kind of bracket to hold the lights in place. That will only be required if you cut too much. My lines allow a very snug fit of the new lights so once they are screwed into the same place the old lights were, they won’t go anywhere. A. 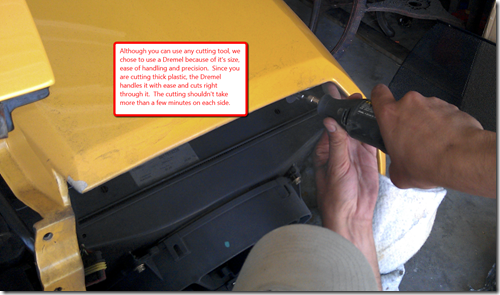 Put on your goggles and use a cutting tool to cut down the lines you have drawn on to the car. Use a tool that you are comfortable with, but make sure it allows for precision cutting. You will be cutting thick plastic so it’s messy with all the black dust that will come out, but there are no sparks to worry about. B. When you finish cutting, you should have pieces similar to the ones below left over. This means you did it right. I only took a picture of the pieces which came off of the left side, but the right side will look exactly the same, just flipped. C. When you complete the cutting on each side, this is ideally how it should look. D. After you have completed the cutting, it’s time to test the fitting of the new lights. 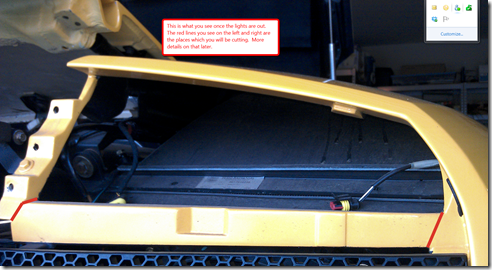 Place them into the openings and line up the screw holes of the light with the holes already in the car. It will be a snug fit so you may have to use a little force. If your cuts were absolutely perfect, then the light should fit so well that even if you didn’t screw it in, it would still be nicely lined up and stay in place. If it absolutely will not go into place, you will probably have to identify where you need to cut some more to make it work. If it goes into place too easily and is loose fitting, you may have cut too much and now have to create a small bracket to hold up the opposite side of the light from where the screws go (to balance it out). A. Unfortunately, the new taillights come with a different set of connectors than what the old taillights use and also use a different wire color coding system. You don’t want to mess with the wires or connects on the car’s end so you can play with the ones on the new taillights instead. On the new taillights, cut off the connectors by cutting the wires which go into them perhaps like an inch away from where the wires enter the connector. There are 2 separate connectors, one big (9 or 10 pin) and one small (2 pin). On the old taillights, do the same thing for the 2 separate connectors (6 pin and 2pin). However, on these, cut about 2 inches from where the wires go into the connector. Since the new taillight has more wires, you will need to join several together. Also, since the new connector uses different color-coded wiring, you will need to reference the chart below to do the rewiring. The small connector light is easy because it’s 2 wires connecting to 2 wires (power and ground). The big connector is a little different because the power for the Parking lights on the new connector is broken up into 3 different wires while on the old, it was only 1 wire. The ground wires are the same way. See my note below regarding the fog/brake lights. *I never used the fog lights nor do I ever see myself needing to do so. So instead of letting them go to waste, I combing the wiring for the fog lights with the brake lights. So when I press the brake pedal, I have an extra set of lights lighting up on the inner sides of the new taillights. 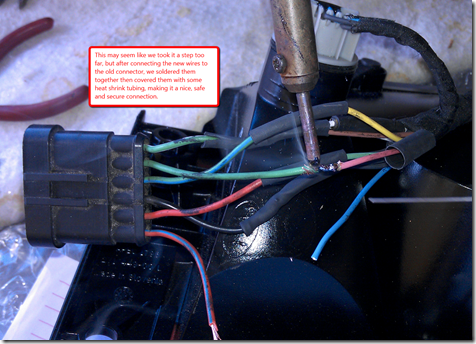 The wiring table above shows factory to factory wire matching only, but if you want to do the same for your brake lights, just combine the BLUE wire from the new light with the RED wire of the new light, then connect to the GREEN wire on the old light connector. On the image below, you will see that we spent the extra time to connect each wire, then solder over it, then we added some heat shrink wire tubing over the connection to make it look more like factory wiring and operate safely. You can do this or simply twist the appropriate wires together and wrap each one with electrical tape. B. After you are done with all the connections but before setting the lights in place, connect the connectors for each side (4 total) and test the various light functions by getting in the car and using them (while someone else watches the rear, of course). If everything works as planned, disconnect the lights again and now wrap the entire group of wires with electrical tape to keep all the individual wires from being all over the place. If something isn’t working right, check the connections for what is NOT working and see where you could have gone wrong. Correct and try again. Now you may connect all 4 connectors to the car again (2 on each side) and screw in the 2 screws on the inner side of each light. Test the lights again just to make sure everything works fine. It’s time to put everything back together. Simply follow the order in reverse of what you did. Be sure to make sure every screw and bolt is accounted for. Just note that for the grills that go under each taillight, you will not use 1 screw on each of them (inner side top screw on each). The reason is that you cut off the plastic part they screw into. So you will only screw these grills into 3 holes. Don’t worry; the 3 screws are more than enough to hold the grill in place. I hope by reading this post, you were able to do this conversion on your own. I’d love to hear the feedback so don’t be shy to comment. 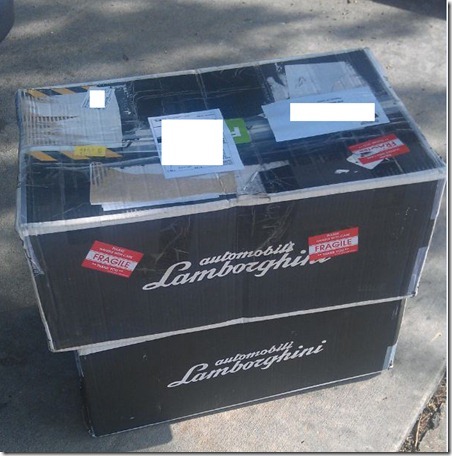 However, now that you’ve done this yourself, feel free to post before and after pictures in the various threads regarding this conversion on LamboPower.com or Lamborghini-Talk.com along with comments. Good luck! As promised at the beginning, here are my before and after pics.